I met a couple of people who own a Vaude Power Lizard (in different sizes). And each and everybody of them had the same diffculties to pitch the tent right. The reason for that is the special geometry of a single-bow tunnel tent as well as a minor bug ex factory. If you take both into consideration, the perfect pitch of the Power Lizard is a no-brainer. Will the change be complicated? Set up the Vaude Power Lizard as usual. Disconnect all roof connectors of the inner tent. That way the inner tent will lay flat under the outer tent. You will have a better overview by that. Disconnect the corner junctions on the closed side of the inner tent. Spread the main pole until the connection band is tight. Peg again all corners of the outer tent so that sie ground line of the face sides build a straight and tensioned line between the left and right corners. Re-adjust the guyline of the face sides without moving the bottom side of the poles. If everything went right, now both face side poles will stand slightly angled to the upper outer side and the outer tent will be evenly tensioned. Adding the transverse link between front and rear poles: Connect the pole insertion rings of front and rear face side with a tensioned cord. I recommend to use Dyneema cord as it is already used by Vaude for the guylines. 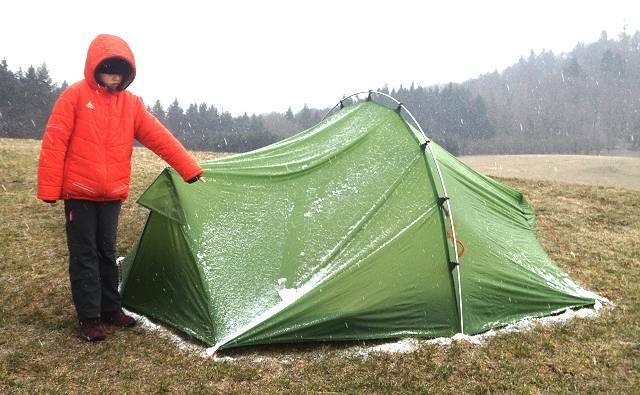 Loose the ladder lock on the corners of the inner tent so that the inner tent can be centered under the outer tent. Extension of the the corner connections: Loop in a piece of shock cord in both of the the closed side corner connections; choose an appropirate length, that is ½ – 1" shorter than the length that would fit without tension. 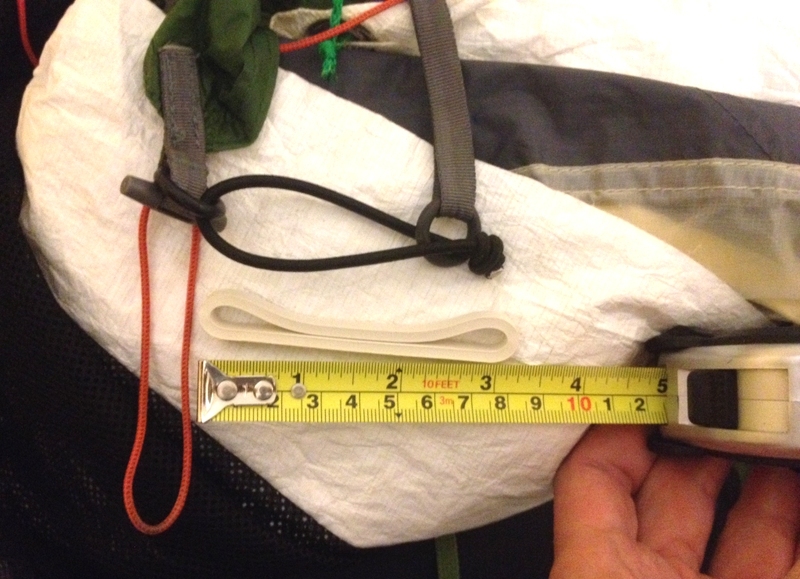 The end of each cord that points to the inner tent should have a small eye or be knottet to an O-ring; that is where the locking bolt of the inner tent connector will fit in. Connect the top hooks of the inner tent to the outer tent again and check the result. 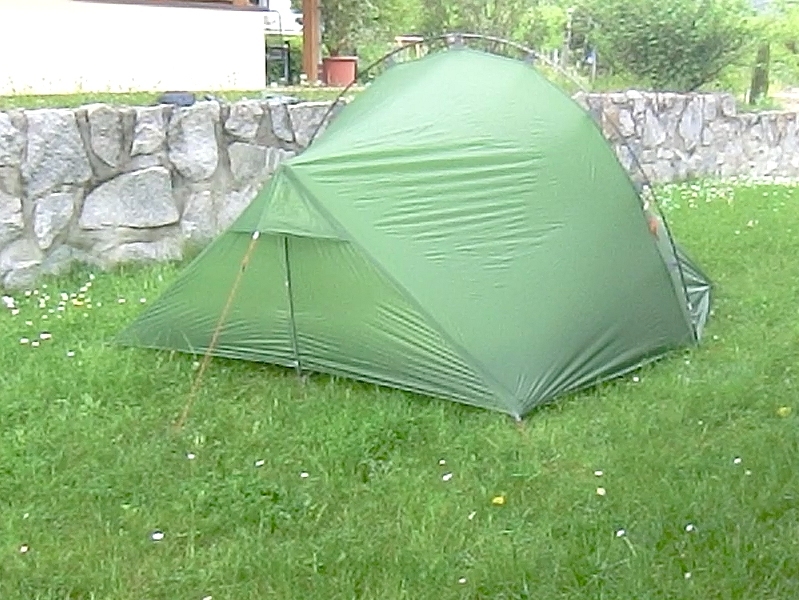 The inner tent should be evenly tensioned and the side walls should have appropriate room resp. not touch the outer tent. 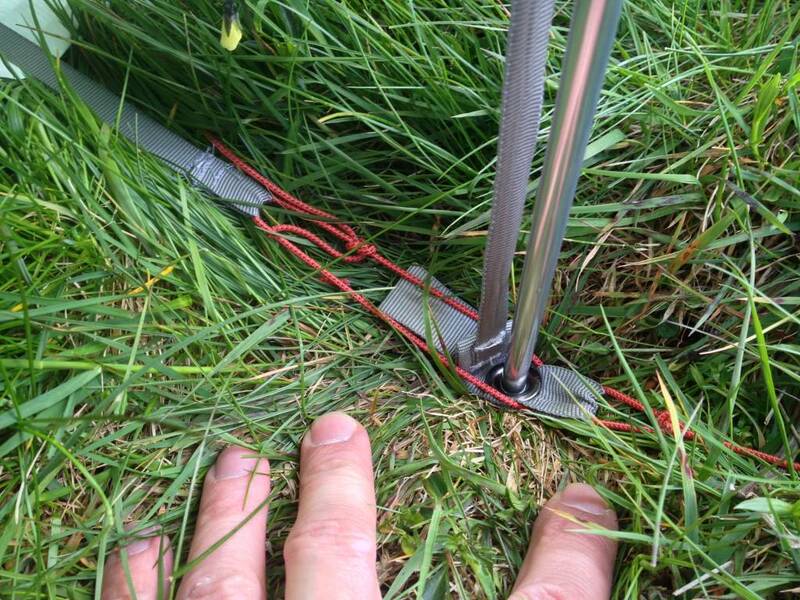 How to perfectly pitch the modified Vaude Power Lizard? Stake out the face side guyline on the windward side. Add the main pole and clip the outer tent hooks on it. Draw the downwind face side of the tend and stake out the guyline.